Surprise your little sweetheart by buying her this super cute headband from Bellazaara. 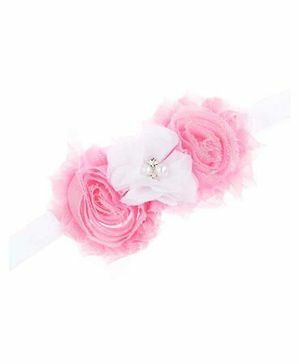 Turn your darling into a princess by pairing this attractive headband with any outfit that will surely win her many compliments. Not worth for 216. Looks great and high branded in pic but, looks like something you get for 20-30 bucks at road side shop. Highly disappointed. "pretty accessory for ur lil gal"
however it is a premium product but quality is ok type , not value for money. i have purchased it for rs 25 after applying coupon so no regret.